Building an email list has long been touted to be one of the most important things musicians could be doing online. Email offers you the opportunity to market directly to your fans and stay top-of-mind with them in a cost-effective manner. You do not own your social media followers, but an email list is something you can claim as your own, making it far more valuable over the long haul. Most marketers also find that their email subscribers are far more engaged than their social followers are. Emails, on average, get opened by 20% of your entire list. If you have a particularly active list, you can easily reach more of your subscribers. Meanwhile, posting on Facebook’s organic reach (how many people see your updates without you paying) is ever decreasing. In short, there are plenty of reasons to get set up with an email marketing platform. 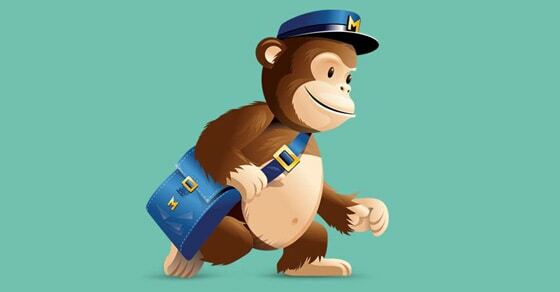 MailChimp is a particularly great service (one of the top 2 we recommend); one you can immediately take advantage of for free unless your list is really big. It isn’t the easiest platform to learn how to use, but it is powerful. Here are the main features you should know about as a musician. Odds are you’ll only need one list for all of your subscribers, unless you have lists for multiple websites, all in different niches. In order to begin sending email campaigns to your subscribers, it is necessary to create at least one list. Keep in mind that your lists can be segmented. For example, you could split up your list by location. This could prove useful for when you’re going on tour and you want to email the fans that are in a specific locality. There are many different ways to segment your list, and it is a feature you should definitely be aware of, even if you don’t end up using it right away. To set up a list, simply click on the “Lists” link in the upper menu, and then click on the gray button on the upper right hand side that says “Create List”. Fill out the provided forms, and click on “save” when you’re done. Once you’ve created your list, you can click on the “Manage subscribers” dropdown list, and the “Segments” link. Click on the gray “Create Segments” button to get started. MailChimp offers you a variety of options for setting up your segments, from date added and language, to location and signup source. This is just a general overview of lists and segments. There is a lot more one could cover, but the best way to learn is by experimenting and using the platform yourself. To begin building your email list, you’ll need to set up at least one signup form. The best place for a signup form is on your website, in the sidebar, below your blog posts, in popup boxes (they might be annoying, but they do work well! ), and so on. With your list still selected, you can simply click on the “Signup forms” link to the right of the “Manage subscribers” link you clicked on earlier. MailChimp offers you four different options: General forms, Embedded forms, Subscriber popup, and Form integrations. Let’s look at those more. Most of the time, you’ll either be using the “Embedded forms” or “Subscriber popup” option. If you want to customize your forms, then you’ll first want to go to “General forms”. As we talked about earlier, you don’t really want too many forms for people to fill out. It’s not a bad idea to reduce the number of form fields by customizing using the “General forms” option. If you want to remove fields, you can simply click on them and then click on the “-” button and then type in “DELETE” (yes, MailChimp will require you to confirm the deletion). Once you have your forms set up how you want them, go back and click on the “Embedded forms” option. MailChimp provides you with several options and default styles, including “Classic”, “Super Slim”, “Naked” and “Advanced”. I tend to use “Naked” most of the time, as it does not include any default formatting. Once your form is to your liking, you can simply copy and paste the provided code, and insert it on your website where you want the form to appear. If you want to be able to send emails to your subscribers, you need to know how campaigns work. To be taken to the campaign page, simply click on “Campaigns” in the upper menu. If you have yet to create any campaigns, click on the gray “Create Campaign” button in the upper right hand side. MailChimp will prompt you to choose from: Regular Campaign, Plain-Text Campaign, A/B Testing Campaign, and RSS-Driven Campaign. For now, just choose “Regular Campaign”. MailChimp will then ask you to choose from a list. If you don’t have a list set up yet, you’ll want to go back and follow through on that step. You can choose whether to send your email to your entire list or to specific segments. This is what makes lists and segments so valuable. After clicking “Next >”, you’ll be prompted to name your campaign (for your own use), enter en email subject (which your subscribers will see). You shouldn’t need to fiddle with any of the other options right now. Just click on “Next >”. Although you can customize your email from scratch, I would suggest choosing from one of the many templates or themes. MailChimp has made it relatively easy for you to modify their basic templates, and if you use their one column templates, you’ll know for sure that your emails will look pretty good on mobile devices too. After choosing a template, you can customize the email content with the message you want to send out to your fans. Once you’re done with that, you’re ready to send out your first campaign! 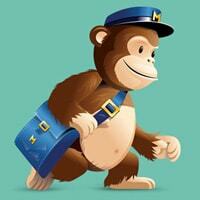 MailChimp isn’t necessarily the easiest platform to use, and it will take some practice. However, it is a powerful tool for sending emails, making it well worth the effort. The problem with MailChimp is you get what you pay for: You pay zero and you get an unsightly GUI that offers you very little functionality in terms of how a real business would need to operate with their mailing list. While it may be a useful initial platform for anyone starting a music business and wishing to keep their initial start-up costs as low as possible; it’ll soon become apparent that it’s not going to be something useful with regard to future business operations because of it’s abysmal lack of functionality. In the past I’ve spoken out against AWeber, but now, after they’ve got their act together, I actually use them myself and I recommend them over MailChimp. So MailChimp saves you a tiny amount of money, and restricts your earning capabilities to an extent where you’ll end up leaving a lot of money on the table, just to save a few $. Is it worth it? – You decide.